Divatress: Feel Like a Diva. Be a Diva. Do you ever wish you could be someone else, even for just a day? I think events like comic cons are a great way to experience this as almost everyone there is dressed up in some way. 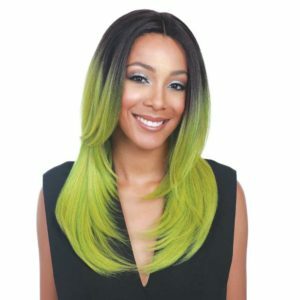 A surefire way to stick out and recreate a character in your own way is by using wigs and one such style is bobbi boss wigs that allows you to find different styles, lengths, and even colors to play with. Divatress has a lot of different options for a blue haired look. When I was younger, I always wanted to have blue streaks in my hair but I just never took the plunge. With this look, I think it would be really fun to pretend to be Karou from Daughter of Smoke and Bone by Laini Taylor. If the above blue look doesn’t scream Karou, the website has a lot more options that you can choose from. Personally, I like the blue above because it’s really pronounced! Another fun comic con option would be to go as the female equivalent of The Joker. While this wig isn’t entirely green, I think it has enough to suit the Joker. Plus, the color just seems right for that crazy character, don’t you think? Of course, wigs can be used for more than just comic cons. If you want the look for fun, Halloween is coming up, or you could wear one for a night out on the town just for a different look. There are also very natural looks if you’ve ever thought about dying or cutting your hair but didn’t want to take the official steph. Plus, if you live in the continental U.S., you get free shipping if you spend over $49! What about you? What type of wig would you wear, and for what event? I’ve often wanted to be someone else, including having the superpower of invisibility. The wig ideas sound super fun! I like the use of the green one for The Joker. I’m all about taking something and making it your own. I actually own a few wigs but I don’t wear them on a daily basis. I use them for Halloween or for blog photos. This is awesome! My oldest wants Black Widow red hair, maybe I need to look into a wig for her! Wigs are a lot of fun. I usually come up with something for Halloween that requires a wig, most often it’s been something blonde. Wigs are indeed a good option if you want to have a different look. From the photo’s I can see that they even look natural. So fun…you could wear one of these before deciding (or instead of) to use a bright hair color dye. I can never wear a full wig but how fun is the Karou one? I totally get it. 😀 These do look like fun. These are awesome, i love the blue eig. I’ve wanted to do my hair a bright color but i can’t because of my job(s). One of these would be perfect! I love wigs, I got four good wigs, but I always wanted to experiment with color. I might have to try out the bobbi boss wigs. Oh wow, these would be fantastic for Halloween. These are both cute wigs! I am excited about Halloween coming up! I always run in a Halloween 10k and I love to dress up every year! I love me a great wig, Especially when they are sooo fun like these colors. these can be everyday but then if you style them right it can go for Halloween ot other fantasy. Yes!!! I totally used to love wearing wigs out to shows and whatnotand and think comicon is the perfect environment to change up your look. 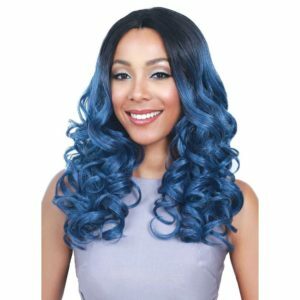 I love love love that blue wig–so pretty with the curls! An Elvis wig. Last time I did? I danced with a woman who said she was born on the day Elvis died, and kept trying to look through my shades. “Who are you?” she’d ask, and I kept quiet and kept dancing. I was Elvis that day, for sure.